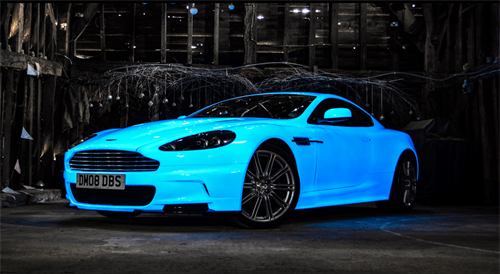 ChipsAway Blog | Glow In The Dark Car Paint? Yes Please! 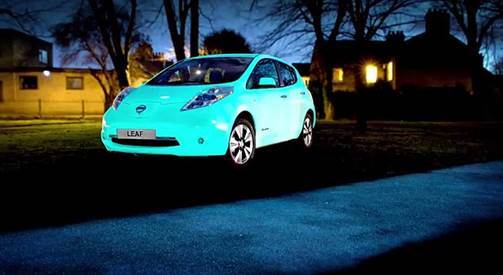 Nissan have had some fun with their best-selling Leaf EV by becoming the first mainstream manufacturer to introduce glow in the dark paint to a production car. 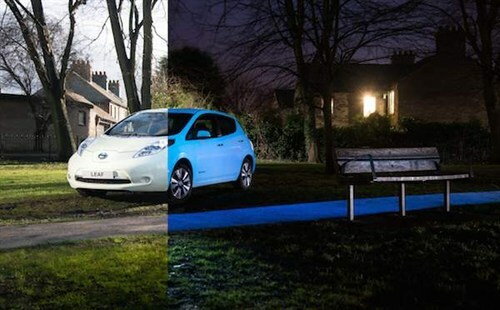 In a nod to the increasing number of Leaf owners charging their cars with solar energy, the paint gathers the sun’s energy during the day and glows in the dark for 8-10 hours through the night. 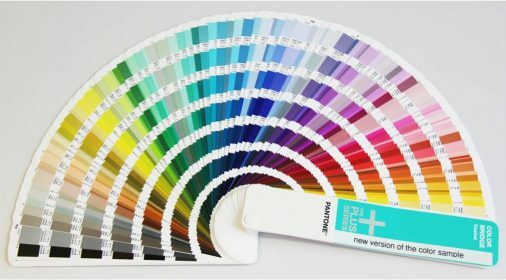 And it’s not just a one off trick either – a single coat of the paint is expected to last up to 25 years, thanks to the hardiness and longevity of its key ingredient, strontium aluminate. The new glow in the dark paint, developed by inventor Hamish Scott, is similar to other glow-in-the-dark paints and coatings in that it exploits the abilities of phosphors to absorb the sun’s UV energy and emit it as light. 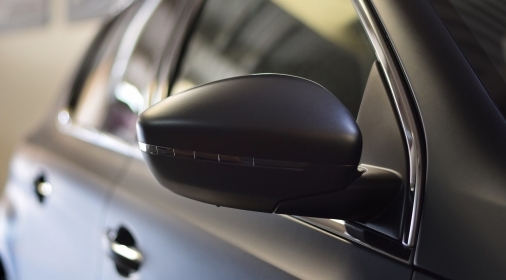 While various luminous car wraps exist on the market, this is the first time the outer paint layer has been given the treatment by an official carmaker. 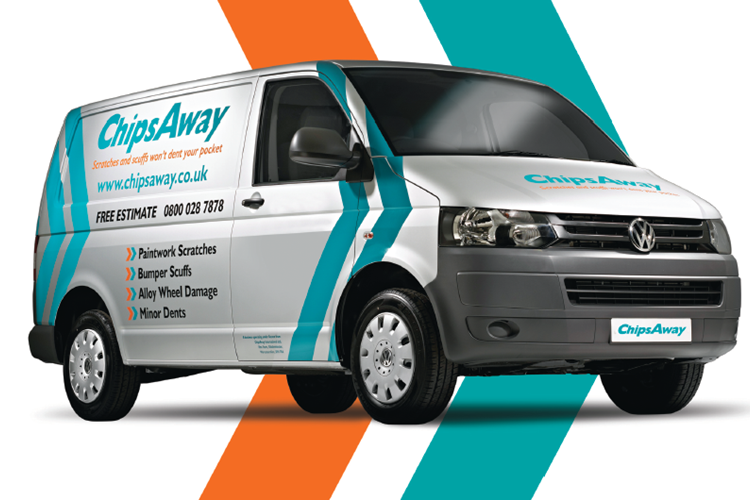 Beyond the novelty value of the night-time glow, it’s interesting to think of the practical benefits – it’d certainly be easier to find in a car park, and with visibility being such an important part of road safety, may even be marginally safer on the road at night. 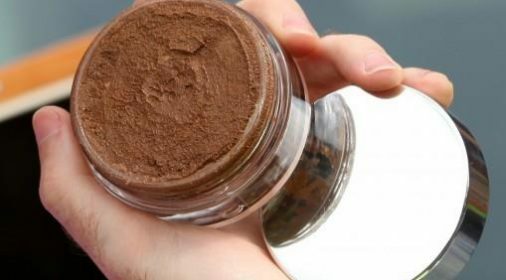 Sadly, glow in the dark paint is not likely to be a factory option anytime soon, largely because of the rarity of its key, rare earth metal ingredient. So as tempted as we were to storm into a dealership and demand one ASAP, we’ll just have to make do with a video for now!